Well we have come to the end of another successful season. Thanks to all members for their attendance in all weathers at matches, again a great statistic for a fishing club of our size. Don’t forget to let Trev know your nominees for the awards prior to the presentation night, which is 5th December 2015 at 7:30 p.m. at the Unicorn, Little Dawley. Sorry there are no photo’s this week, I blame the fog. This match started out in dense fog, visibility was so bad that sometimes all you could hear were voices otherwise you’d have thought everyone else had gone home and you were fishing on your own. Simon used this to his advantage and weighed in 72-08 for first place. Kev made a dramatic comeback to weigh 70-14 for second, followed by Terry with 58-02. The bragging rights for the top of the leader board went down to this last match, and it wasn’t without controversy! 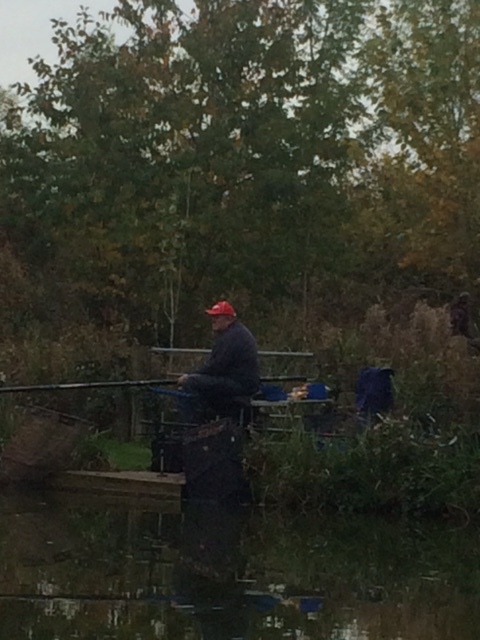 With Kev landing a fish a few feet from his peg, he ‘quietly’ released the fish back into the pool to avoid disqualification and he got his head down and battled his way to second place in the match and finally overtake Martin to finish on top of the leader board by just 4 points, and Brian finished in third place. Congratulations to everyone for making this such a good contest! Trev shows he’s back on track taking 1st place. 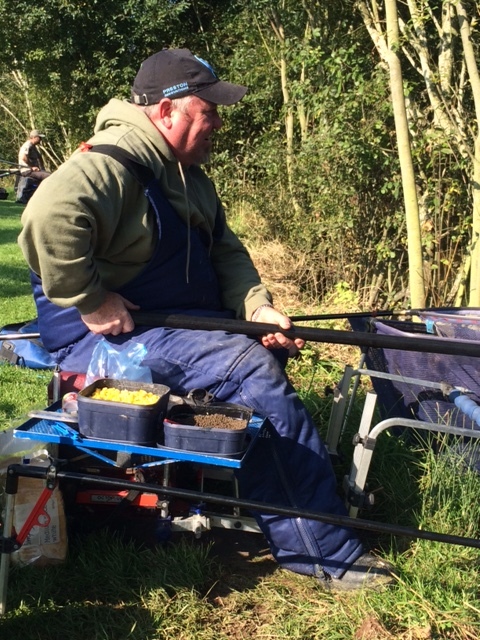 Practice makes perfect – Trev Briggs showed the way at Astwood taking 1st place from peg 1 with 48-0. 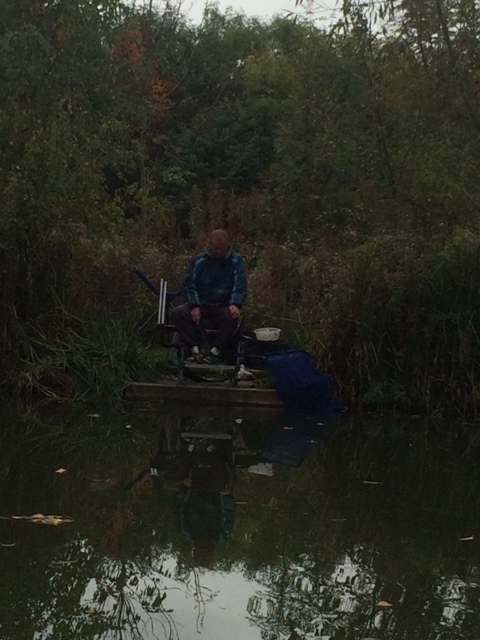 Trev took carp to 10-0 beating Kev ‘Tom Daley’ Lees who finished the match with 40-0 and wet, it seems Kev ‘forgot’ he had returned from his holidays earlier that morning and needed to cool off, so ‘dived’ in for a closer look at the island. 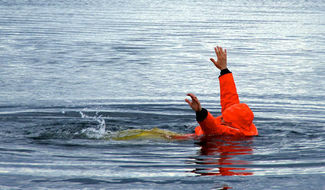 This method must have helped him as he discovered unless he got really close to the island he didn’t get a bite. Terry and Simon shared 3rd place both finished with 27-12. 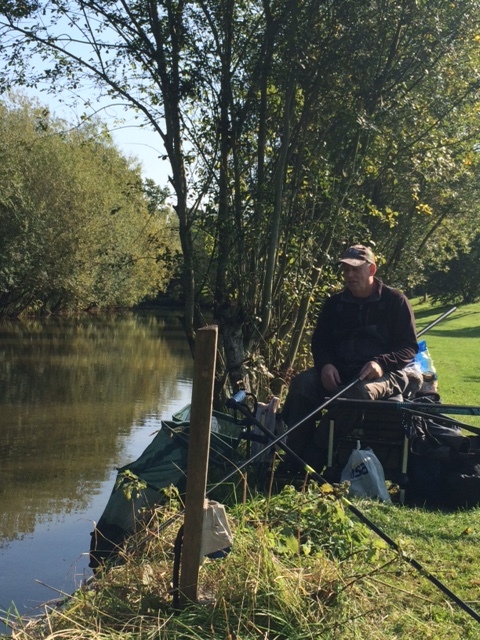 Meanwhile Ted was finding it hard to land the fish he was catching, he just couldn’t get them into the net on his method of the method which is a feature of this weeks competition, Spot the fish! Prizes could include a snorkelling set, swimming arm bands or a rubber ring. The result means that Martin now has a narrow 2 point lead over Kev at the top of the leader board. Next match Sun 18th Oct, 2015 at Weston Pools draw at 8 a.m. It fished very hard as this was a specimen pool so we were told by the locals, and had never had a contest on it before so everyone was a bit down in the dumps but we plodded on regardless. Danny had heaviest fish 16lbs 4ozs, he lost a monster before he had this one which he claimed was around the 20lb mark. 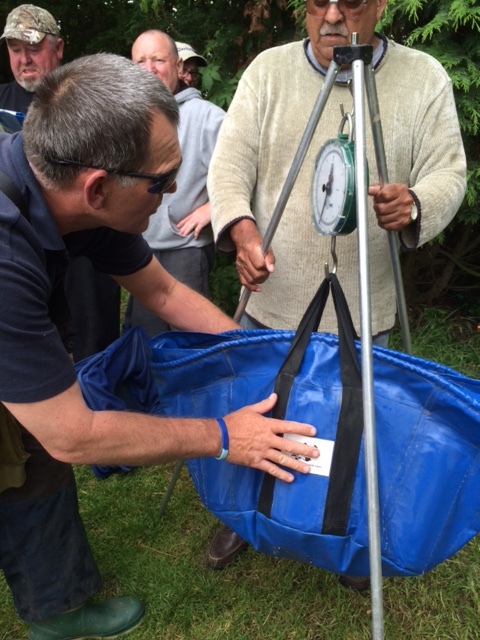 Brian came a close second with 15lbs 0ozs which he let everybody know how big it was by stating that he needed a bigger landing net before we weighed him in. The results mean that Martin has now opened up a 14 point lead at the top of the leader board. 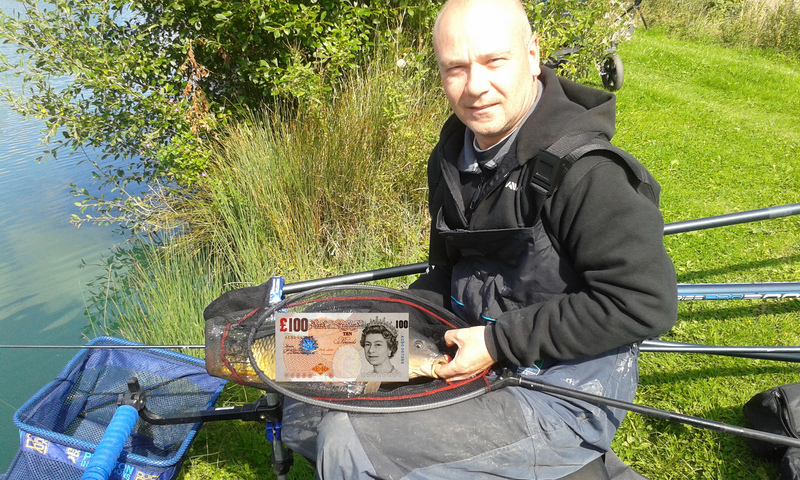 Next match Sun 4th Oct, 2015 at Astwood draw at 8 a.m.
Is this the Golden peg winning fish. This match was split across two pools Big Al’s and Little Al’s at Woodlands View. I didn’t fancy my peg as on the map of the pools peg 11 looked like it was an end peg and I had drawn peg 12 on Little Al’s. However when we arrived at the peg we found that the map was wrong and I did have the end peg which is also a corner peg. [Ahem] double bonus! On Big Al’s, Martin took first place with 46-12, the reports from Trev was that he was catching really well on the feeder. Jack was caught out, when a carp ripped his rod off the rest and before he could react his rod and reel were in the pool, the initial run from the carp triggered Red to strike and haul in not only a carp but also Jacks rod and reel! Well done Red, I hope Jack brought you that pint he offered as a reward. Jack’s day could only get better and it did, as he finished in second place with 31-8. 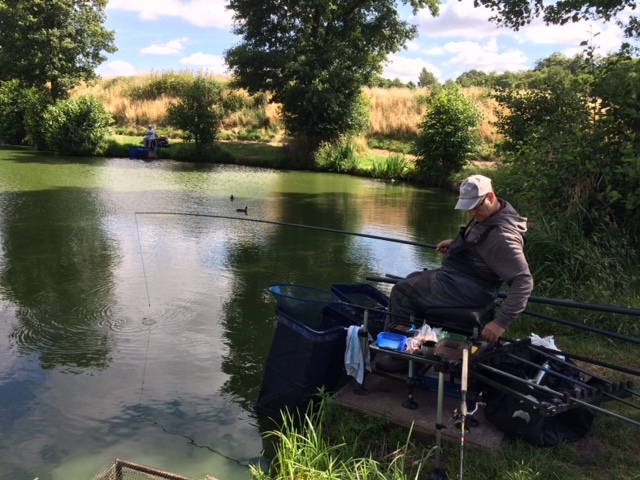 On Little Al’s, on peg 12, to my left, I noticed fish topping, not only were they topping they were feeding in the scum which had blown into the corner of the pool, which I had to myself. I didn’t need to wait too long for a decent take, the fish took off along the bank heading for a reed bed before the elastic arced his run to the middle of the pool. Gradually, the carp came back to me as I broke my pole down to the fourth section, keeping the pressure on, the hooked common surged on another run, now I knew I was in a fight, “More pole! More pole!” my solid 12 elastic was being stretched to its limit and the fish was back in the middle of the pool. The fish made another two runs like this, putting in a good account of itself, but eventually after a good ten minute fight, once the fish tired and I managed to ‘fold’ it into my landing net, I knew it was time to change the rig onto my pulla-kit, to have any chance of winning the match. Trev was on-hand to see this epic fight and supply the photos, and I could see he was itching to get back fishing soon. Not too long now Trev. Terry was a close second, and I knew Paul was doing okay because Ted was next door on peg 13 cursing every fish Paul caught, while Paul was saying it wasn’t him it was Tez who was catching well, and needed a bigger net to land one whale! Finally a quick mention that Ted whooped his brother Billy, once again – what’s the score so far this year Ted? Billy? Firstly some words of thanks, to everyone who shook my hand and congratulated me on my first win of the season, even first time in the frame for a long, long time, (hence this longer than normal write up). Also to Simon and Barry who couldn’t attend this match, but played their part two weeks before at Solhampton, which kept the Golden peg running for me to win it. Dan, thanks for drawing the golden pegs and telling me in the car park before we started that I had a golden peg, which is usually the kiss of death and also to Billy for topping up the Club Golden Peg prize to £100, which has been running since the last A.G.M. Thank you, the sportsmanship is what makes the club great! Summer was finally back for this match. There was another fantastic turnout as this venue was anticipated to provide good weights all round. There is a good head of fish in Alders.Alders holds a good head of common and mirror carp, some which reach 22lbs with a decent number of fish in the 11lbs to 15lbs range and a lot of fish around the 5lbs to 6lbs mark. In general, Alders holds the biggest fish of the Pipehill waters. There are also good numbers of crucian carp to 2lbs with plenty of fish around the 1lb mark but, despite the large stock of crucians, catching these fish can sometimes be erratic but they provide great sport when they are on the feed. However, after the first hour, following some instant success, the talk around the pool was that most were either struggling for bites or losing fish for one reason or another. Next match Sun 22nd Aug, 2015 at Solhampton draw at 9 a.m.
Just a reminder, Fri 21st Aug 6p.m. Meet at the Unicorn car park to load up for the annual day out. Next match Sun 9th Aug, 2015 at Pipehill draw at 8 a.m.
Next match Izaak Walton 8 a.m. draw.